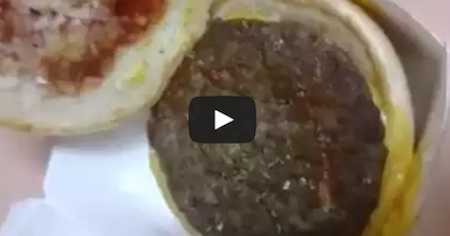 Man Finds Maggots In His McDonald's Hamburger... YUCK!! McDonald’s food is not new to controversy. And this video just proves once again how disgusting their food is. How maggots got into this guy’s burger is anyone’s guess. If you still insist on eating at McDonald’s CHECK YOUR FOOD before you take a bite! WARNING: This may disgust some viewers! !